It’s freaking cold out there! 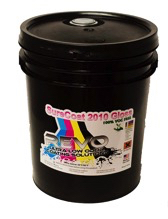 This is a reminder of how to use your uv coating fluid in the winter. We have all seen the news of the massive amounts of snow in New England. 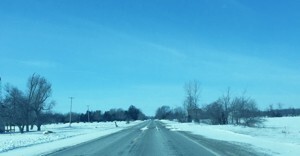 This weekend in the upper Midwest, people are waking up to -15 degree temperatures and large amounts of snow on the ground. And your uv coating fluid just does not like the cold. This is a repeat and reminder that you need to make sure your uv coating fluid is kept at room temperature before use. UV coating fluid is kind of like paint. It needs to be shaken or stirred well before use. If it is cold in any way, it will be more difficult to get the chemicals in your pail to mix evenly. If they are not mixed evenly, they will not spread onto your documents properly. So remember, if your pail has come off the UPS truck. The first thing you need to do is store it in a warm place, so it can reach room temperature. The cold on the truck has more than likely altered the chemical make up, so you want it to settle properly, so you can stir it up. Remember, it would be like taking a paint can from the cold and trying to stir it up, so you can roll on a wall. 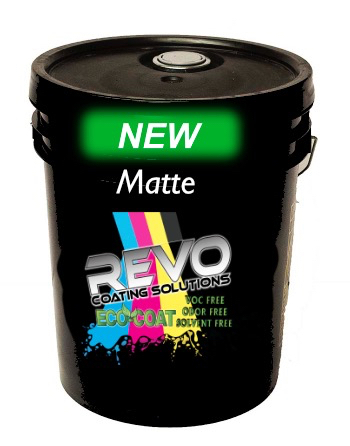 Before you put it into your machine, make sure you shake it or stir it well just like a paint can. The chemicals need to be mixed well to get the maximum affect of the uv coating fluid. Do these things and your projects will be perfect. Most important, stay warm! The inglorious Groundhog predicted 6 more weeks of winter. Need uv coating fluid? 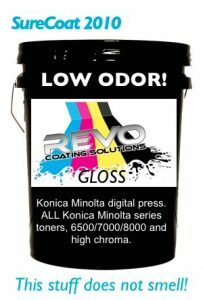 Check out the REVO Coating store for our low odor high finish fluid.